The Play Store has long shown the date an app or game was last updated, but now you get a bit more historical information. The Play Store mobile client has started showing the release date for apps. So, you're a few taps away from finding out how long most apps have been on the Play Store. I say "most" because a few are showing obviously incorrect dates. The "Released on" date at the bottom of the listing shows when you tap on "Read more." Google's apps are, obviously, among the oldest with release dates around 2010. Some of these apps (eg. 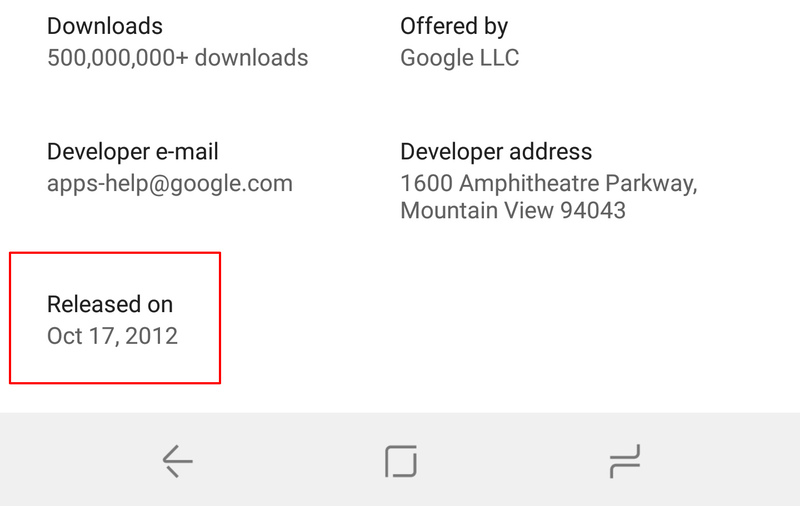 Gmail) existed before 2010, but that appears to be related to the date they were separated from the OS. Facebook seems to have missed the release date altogether—it shows December 31, 1969 (Unix epoch date 0). This feature will be handy in the event you want to know if an app is actually new. Sometimes apps change names and relaunch or they're just in geo-limited release for ages. So far, the release dates are only showing up in the phone client. The new Play Store redesign is rolling out, but it doesn't include this feature, oddly.